The organisation decided to come up with the concept of a safety campaign which then led to the development of the Itlhokomele Safety Campaign. Our main focal point of the campaign is road safety and other aspects safety. 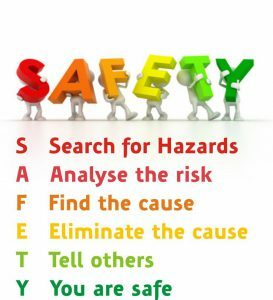 The campaign will commence and run throughout the month of March whereby the learners will be educated about safety beyond what they already know. As an organisation that works passionately with the kids, we realised that there is a huge gap in enforcing road safety and rules in the schools we go to. Most of the school visits we partake have quite a large number of our learners exposed to the road, where anything can happen as they are not as attentive to such a situation as an adult will see it. While we know that the rate of accidents and fatalities are quite high in our country more so of school children who are usually in groups. The campaign will be grown with time yet now mainly focusing on the road safety around our schools. The learners will be interacting and play a huge role in the campaign as we need to know what they know and how far in defence & assistance they can go should they or a friend be in a compromising position. Other social aspects which link to the dangers and safety of a scene such as actions in a case of an accident. Including other subjects like classroom safety, household safety and outdoor safety.At the end of the campaign, we aim to see learners being more vigilant and safety conscious when they are near the road either walking somewhere or playing with their friends. At the end of the campaign, we aim to see learners being more vigilant and safety conscious when they are near the road either walking somewhere or playing with their friends. At the end of the campaign we aim to see learners being more vigilant and safety conscious when they are near the road either walking somewhere or playing with their friends.